BMW (BMWYY) recalled more than 100,000 vehicles in South Korea last month and has been carrying out emergency inspections. 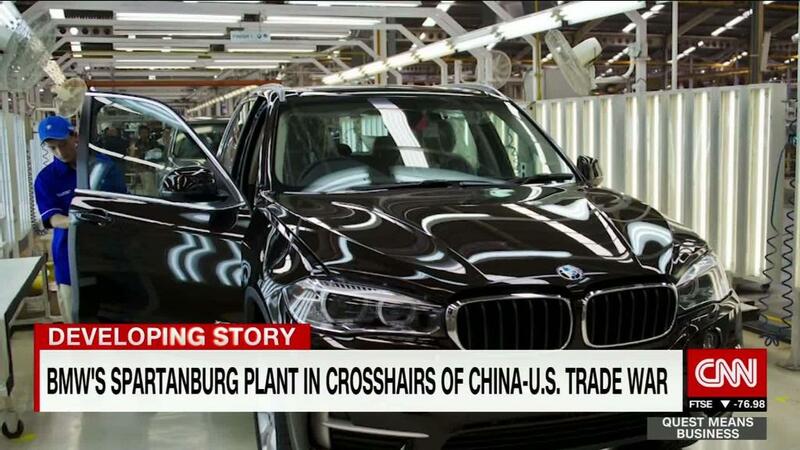 It expanded the checks to Europe last week. 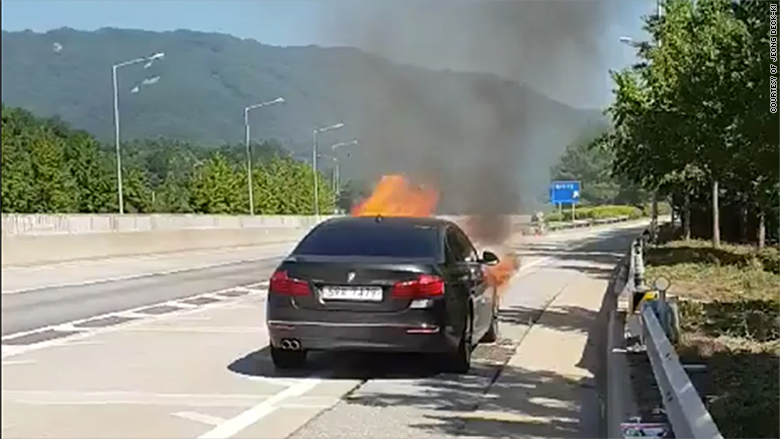 A vehicle is seen in flames in a video taken by Jeong Deok-ki, who says he is an owner of a BMW 520D. 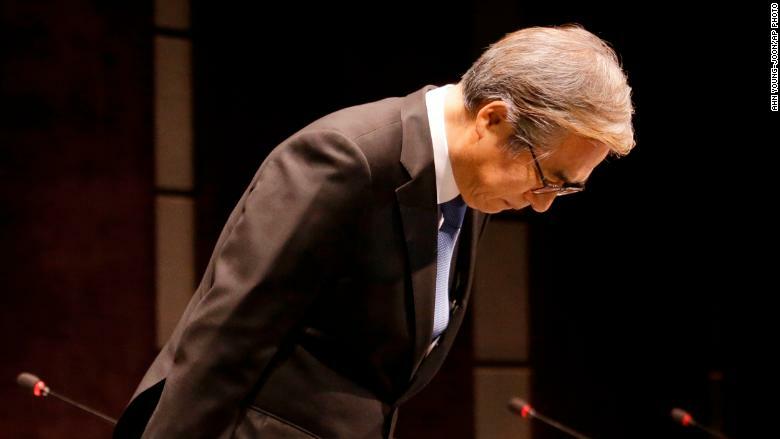 Kim Hyo-joon, the head of BMW in South Korea, bowing in apology to customers last week. -- Sophie Jeong and Jake Kwon contributed to this report.